Publisher : Young Estate, Inc.
A government agency steals the plans of a top-secret project that is being developed by a world renown science community. The agency tries to create their own version of the device in space, only to succeed in creating a global disaster they are unable to shut down. Not being able to correct the problem, the government pleads for help from the science community to send a team to correct the situation. After they arrive, the team finds themselves in a face to face encounter with two of mankind's most sought after questions - "Can you answer the questions?" Coincidence, A Well Developed Subconscious Mind, or Divine intervention? While on the clock at my day job, a concept of a story just popped into my head that held a grip on me for several weeks. The concept was for a lack of a better word - intoxicating. My instincts urged me to write it down on 3x5 cards so that I won't forget the details, and to have a platform to keep it organized. 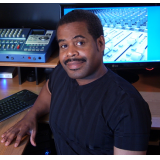 I also edited and added to the story-line using a small digital hand-held recorder. Coincidentally while structuring the first draft, elements of this story: its environment (setting), events, technology, places my characters are involved with, and how they arrived to their destination - all have shown up in the news, on science programs, and from articles I stumble upon. All from a project I day-dreamed up. I mentioned it to another author who told me that, "If you've completed the full story in the manner, than It was meant to be written." As I said, it came to me out of thin air. 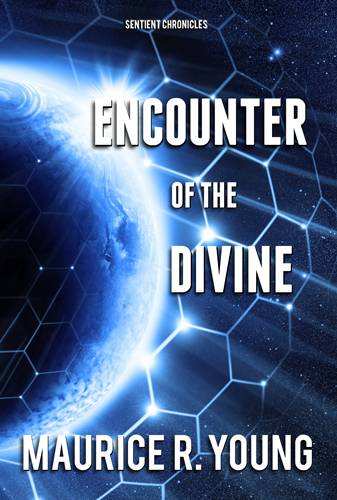 I can't explain it other than phrasing it in the words of the story's title - an Encounter with the Divine.